The transition to more paperless learning activities is in the air. I'm not convinced that 100 percent paperless classrooms is right for every school, but we continue to move toward completing more tasks with connected devices. As students advance to the next grade level with increasingly stronger typing and Web skills, classrooms in the upper levels have to plan on converting traditional activities into digital means. 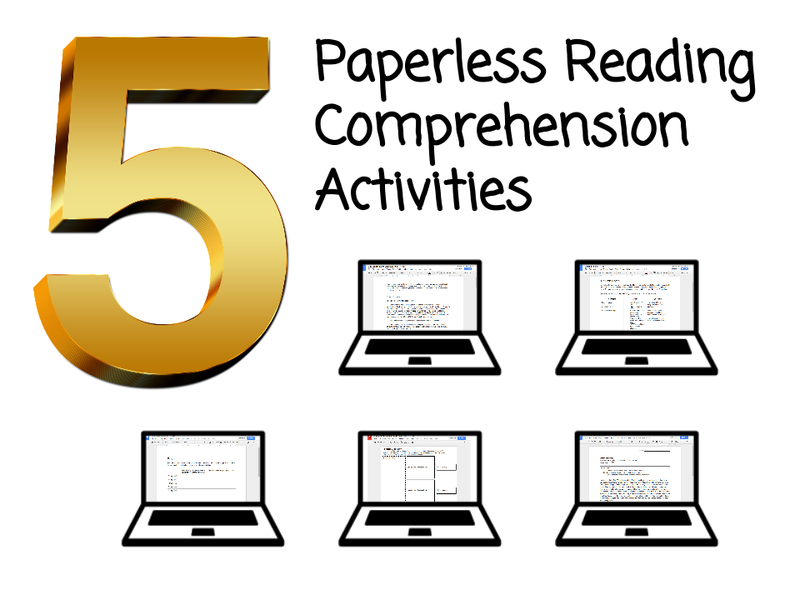 I started with writing activities and soon realized that many of the reading comprehension tasks could be completed with cloud apps, too. Keep in mind that integrating technology is a process. It takes time for teachers and students to become comfortable with new tools. 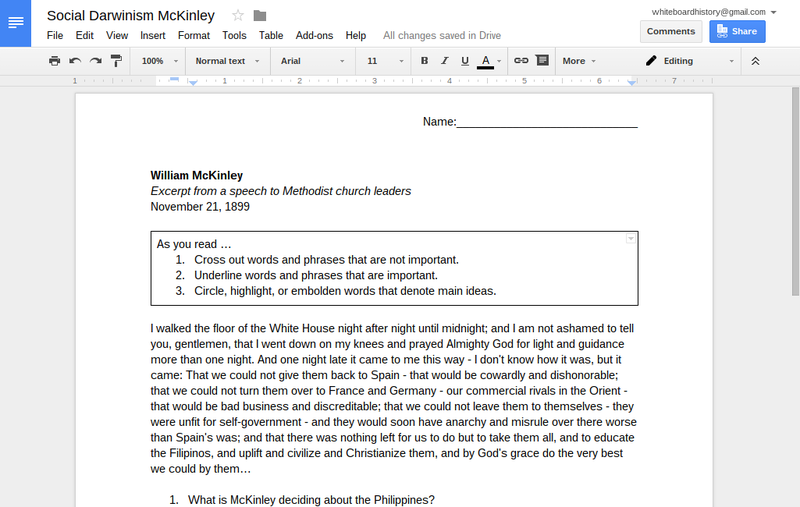 That's why I recommend keeping it simple by starting with online word processing apps like Google Docs. 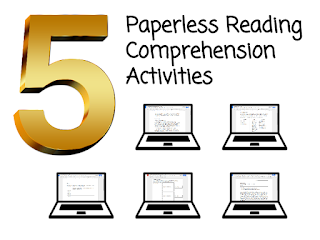 Here are a few comprehension activities and some tips for making them digital. 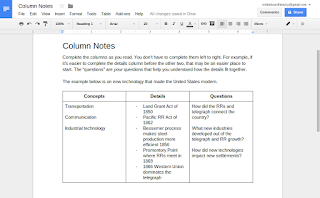 As students read a selection, have them list details based on a guiding or essential question. This list can be typed in a column on a table or in a text box like in the example shown below. 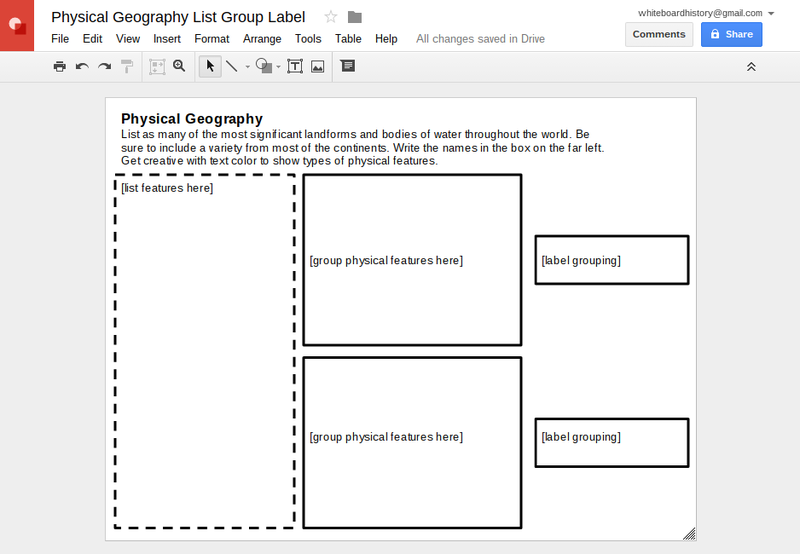 Whichever way you set up the digital work, the ability to later group the list items and label the groupings is key. 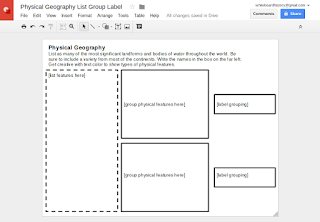 The example shows a perforated box for the list and two boxes to later organize. This is a reasonable template for the middle school levels. Elementary or primary levels may need more support. For primary grades, I would consider providing a word bank made of text boxes that they could click and drag into place like shown in some of these activities. The rule-based summarizing strategy asks students to follow a set of rules or steps to write a summary. Take out material that is not important for your understanding. Take out words or passages that repeat information. Replace a list of things with a word that describes the things in the list (e.g. use trees for elm, oak, and maple). Find a topic sentence or write a new one if it is missing. 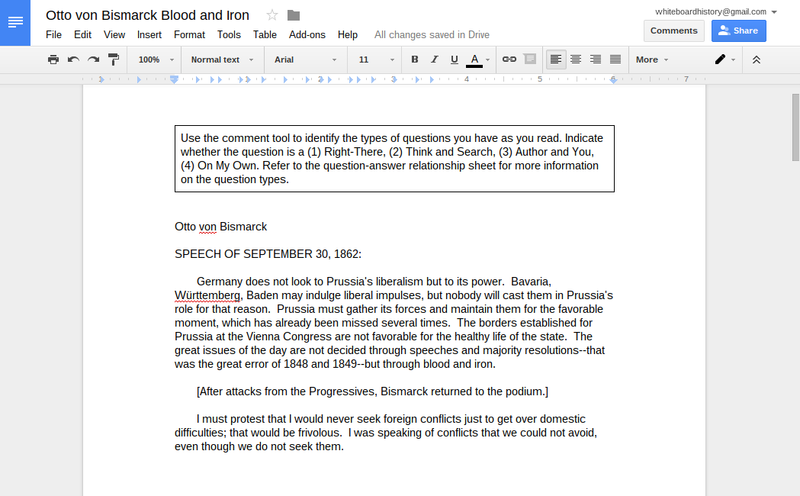 Use the underline, bold, and strike-through tools to keep this activity paperless. 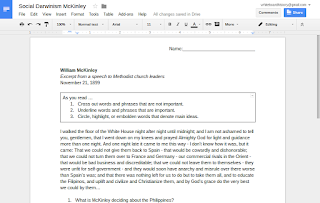 Students who prefer more color can use the highlighting and font color options. Before we know, we try to know. Making predictions is one of the most powerful critical thinking activities we do everyday. We do it so often that it's taken for granted. That's why it's important to have a talk with students about their awareness of their own thoughts. 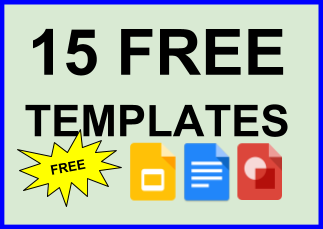 This digital worksheet is simple and could take many forms. 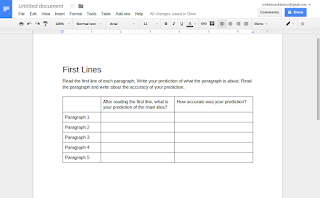 As long as students can write what they think a paragraph is about after reading the first line and reflect after reading the whole paragraph, the strategy will being to tune their concentration and ability to make connections. 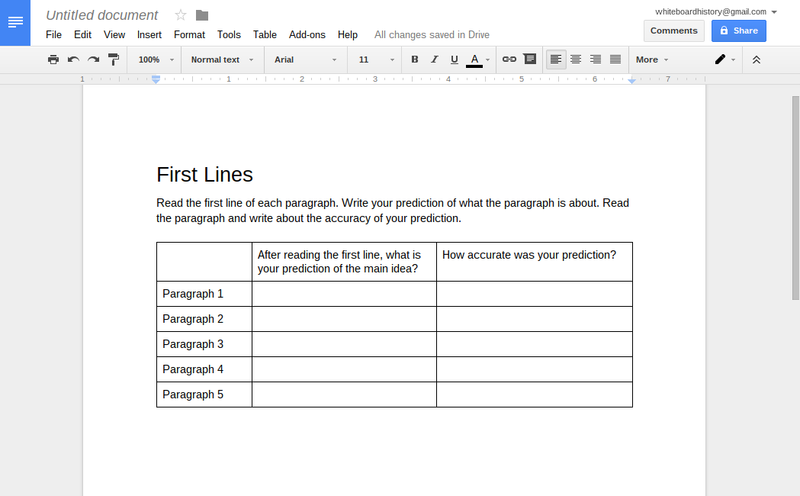 For ELLs, I would put the selected text in a wide left column and leave typing cells in a narrower right column for the prediction and reflection. The question-answer relationship is another activity to increase metacognitive thinking. 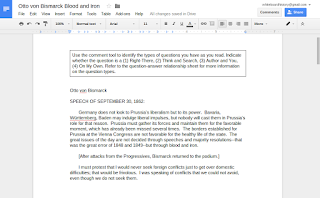 Students identify which type of question their thought process is using to understand a text and make a note of it using the comment tool. It's important to include questions that allow students to reflect on the question types, the text, and their own knowledge. Right-There: Explicit in the text. Think and Search: Gathered from several parts of the text. Author and You: Must make inferences and personal connections. On my Own: Use prior knowledge (not the text). 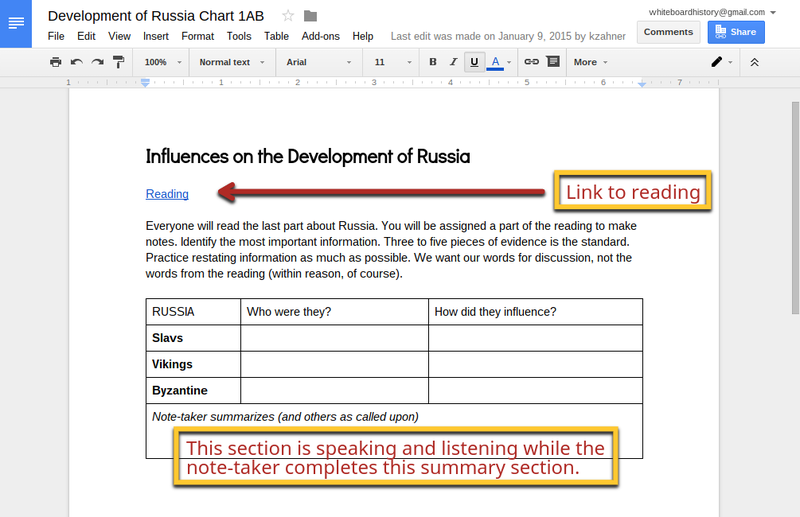 I needed a way for my students to practice taking notes while reading and to include their analysis, as well. This activity needs to be scaffolded by the others because it's a combination of List, Group, Label and Question-Answer Relationship. 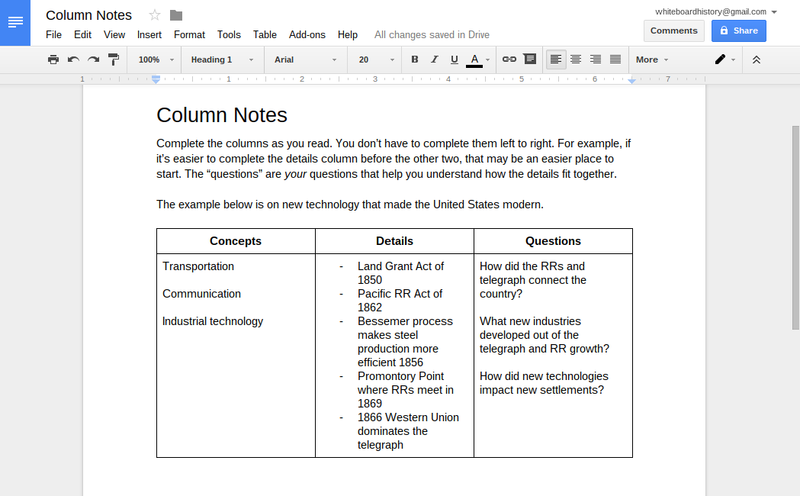 This is perhaps the most helpful in terms of preparing students to organize their notes for pre-writing. This is fun because it's simple yet sophisticated. 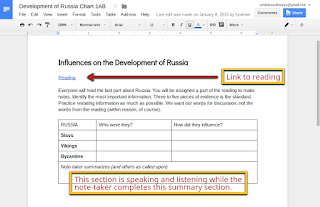 Split up a reading and assign students parts to make notes on the same document. With online word processing, this is a piece of cake. It's powerful because of the peer modeling that occurs. The students can see the work of their peers and learn from it. Glad you find them useful. Take 'em. Share 'em. Tell us how things how work out.